Want to monetize your Audience? VIP-ADVERTS is the best solution from the web! until €0,50 per listener whatever the country. idea, listen to a Partner here. Want to estimate your monthly revenue? Want to monetize your listeners? 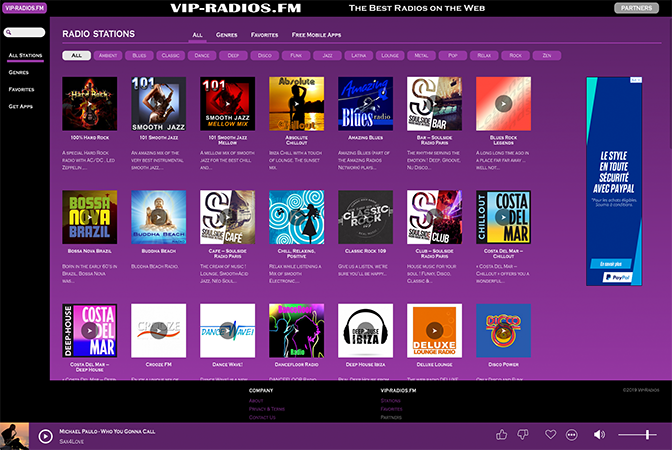 - TOP listeners players (User agents). 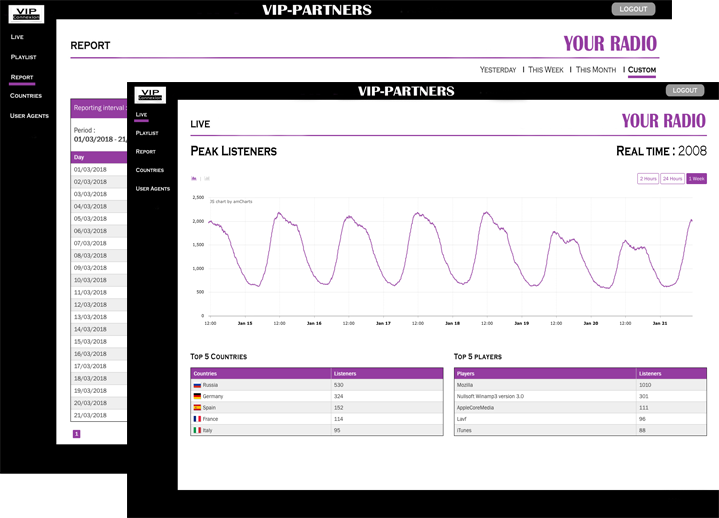 VIP-PARTNERS is free and only avaiable for Partners! To become a Partner you have to subscribe to VIP-ADVERTS. Want to increase your Audience? to increase your audience by incorporating your radio into our website. Apple Store, Google Play, Windows Store, Blackberry Store, Amazon(Kindle Store) and PWA Store. VIP-RADIOS is a free service and is only available for our Partners! To become a Partner you have to subscrite to	VIP-ADVERTS. Want to visit our Website or get our free App now? Please enter the following informations and generate "ESTIMATE"
Want to Try Again ? Choose the Best agency to monetize your Radio! – Why should I choose VIP-ADVERTS? – With VIP-ADVERTS, you are sure to get the BEST income on the web! Indeed, we choose to give our Partners «a great slice of the cake». Based on «Peak Listeners», your income will be most important than all other agencies. – We select each Partners following Audio quality (good programming) and their audience (« Peak listeners » with a minimum request of 200). This allows us to pay better our Partners. – We always pay our Partners each month. – For free, you will access to our referencing services. With VIP-RADIOS and our App for smartphone, you will increase your Audience. – Real support access by e-mail (not by forum). – What is a Peak Listeners? «Peak Listeners» is number of « unique » listener who listen to or have listened to your Radio simultaneously. – What should I do to become a Partner of VIP-ADVERTS? – 1) You have your own broadcast system and you want to keep it. – 2) You have not your broadcast system. Don’t worry! We offer you the possibility to manage your radio directly from our servers. 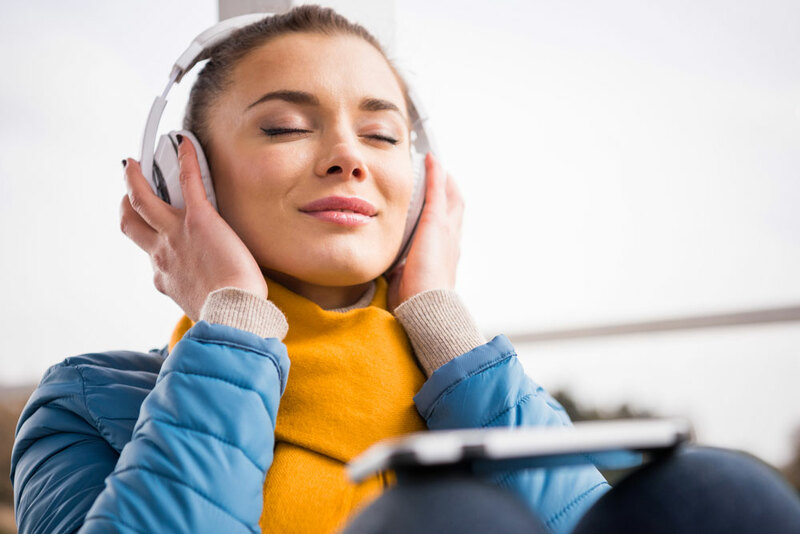 Upload your musical library from there and manage your Radio without additional costs. Yes, it is Free! All servers, streamings, storage costs and copyrights are covered by us. – How many adverts do you trigg per hour? We trigg advertising every 15 minutes during 30 secondes (when ads are available in the country). Which represents no more than 2 minutes per hour! This is very less than every other agencies. You can listen to an example on one of our Partners here. – What happens if I decide to stop to be a Partner? At any time, you can stop our partnership with a 30 days notice. – Currently, I have a radio without Adverts. If I monetize my audience, will I loose my Listeners? Well, our experience has shown us that NO. Despite what we can think, open advertising on your channel will not decrease your Audience. However, you will be paid for the long hours spent programming your radio! Moreover during this year, we will open a new service to provide our Partners to get «Premium» paid account on their radio. – I have a several radios and I would like to become a Partner. What should I do? Please contact us at the following e-mail (info@vip-connexion.com) and let’s explain more about your project. You want to estimate your monthly revenue?